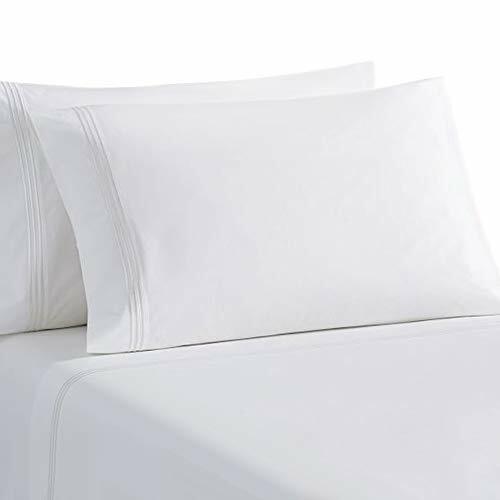 The Honeymoon 1800 brushed microfiber embroidered sheet sets are a must have in any household. The 100% polyester microfiber, superfine fiber material, provides a soft silky feeling, not only are they soft, breathable and hypoallergenic, but they are also fade and stain resistant. Care is super easy, just machine wash cold, dry on low. Honeymoon is a US-based home goods company located in New York. We employ designers who fully understand the current trends, and what our customers' needs are. We strive to provide comfortable and reasonably priced goods that will improve the quality of your sleep, and style of your home. Honeymoon specializes in duvet covers, pillow cases, sheet sets, as well as window and shower curtains. We focus on applying and maintaining environmentally-friendly procedures during the whole production process. All our products are of the highest quality and meet and/or surpass the highest specifications. If you have any questions about this product by HONEYMOON HOME FASHIONS, contact us by completing and submitting the form below. If you are looking for a specif part number, please include it with your message.